The Corporation (Warden and Society) of Sutton Coldfield held its monthly meetings in the Moot Hall. By the 1850s the ancient structure was showing signs of collapse, and the Warden’s Minutes for 1854 show increasing concern; in April it was resolved “That steps be taken for the necessary repairs”; in May £100 was voted for the cost of repairs; on July 10th £250 was voted; and on August 28th the decision was taken to abandon the old Moot Hall. The Inquiry began on Thursday August 2nd 1855, and witnesses spoke of an incident, not mentioned in the Warden’s minutes, of a revolutionary nature. A meeting had been advertised for June 4th at 2.00p.m. at the Moot Hall where inhabitants who were against the petition (signed by Henry Fielding and others), would draft a counter-petition. Henry Fielding later claimed that he had gone to the meeting “to hear what they had to say” as his name was on the handbill. Sir William Hartopp muttered “you are a funny lot” and led his fellow members of the Corporation and their supporters out of the Moot Hall and into the Reading Room, and so ended the nearest thing to a riot in the history of Sutton. The Warden at the time was the 26-year-old Rector, W.K.Riland Bedford, who tried, without success, to find a compromise, and never again sought election as Warden. 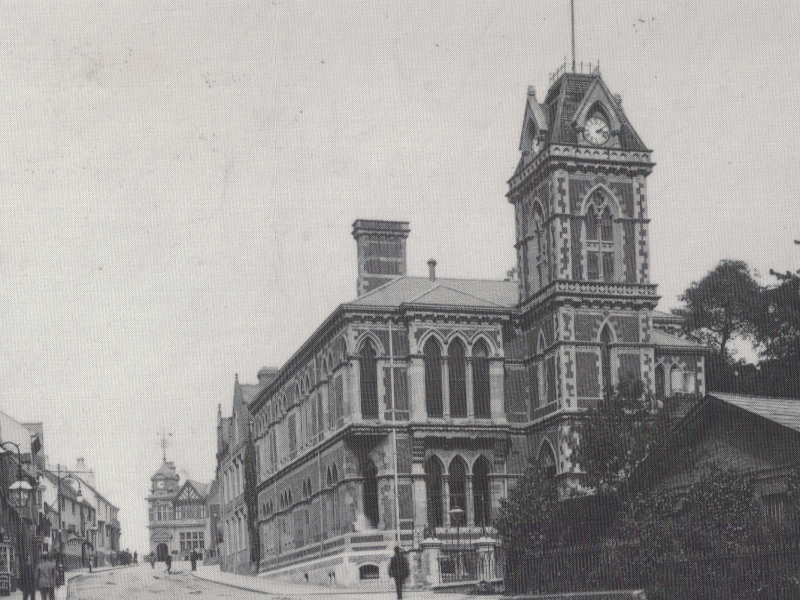 The 1859 Town Hall in Mill Street - The Warden and Society used a temporary town hall for five years before moving in to this purpose-built edifice.